Photos of the Shark Lady at Work! In 2014 I visited and interviewed Genie at the Mote Marine Laboratory. 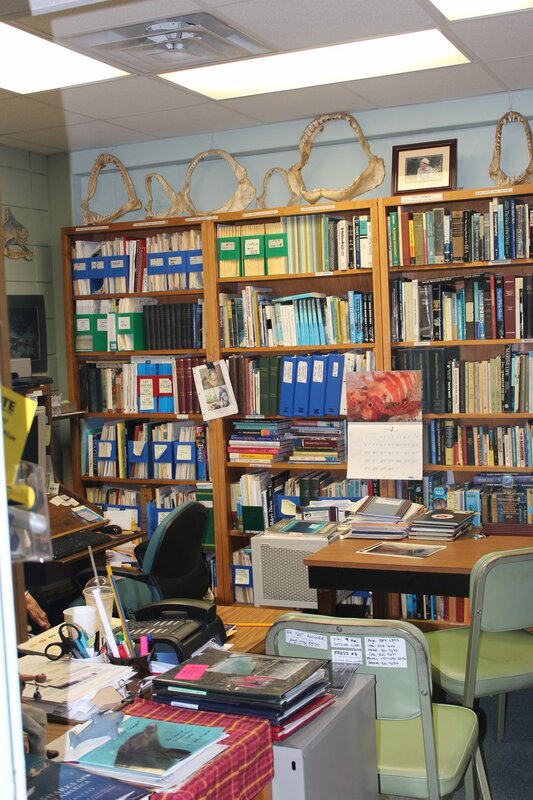 Her office was filled with research and reference materials, photos and momentos from her adventures, and all things SHARK! Check out her shark jaw collection!! The Mote Marine Laboratory kindly shared these old photos of Genie at work!